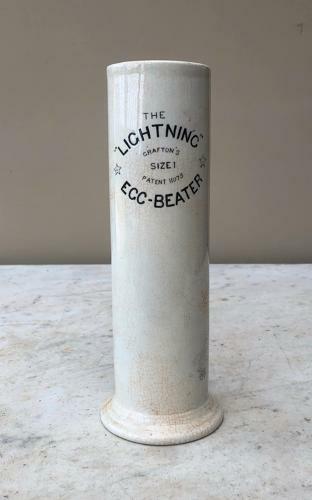 Rare Late Victorian The Lightning Egg-Beater. Size 1. A rare late Victorian Egg Beater "THE LIGHTNING EGG BEATER. GRAFTON'S SIZE 1. PATENT 11075"
Great Size. No actual damage ie cracks or hairlines but age crazing...stained in places.